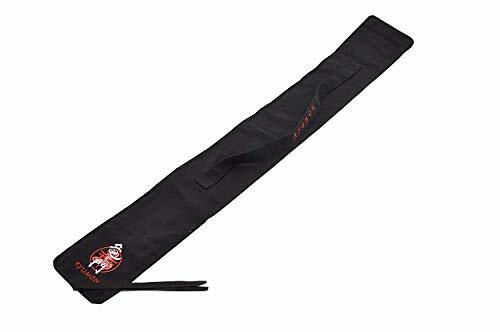 The Ryumon sword bag can protect your investment in your travels to the dojo or storage when you are home. Ideal for katana but can accomadate many styles of swords including tai chi or practice bokken. Bag is constructed of heavy duty nylon with a protective padded liner and shoulder strap. Will fit most swords up to 50" and a max. width of 4 1/2". If you have any questions about this product by Handmade Sword, contact us by completing and submitting the form below. If you are looking for a specif part number, please include it with your message.